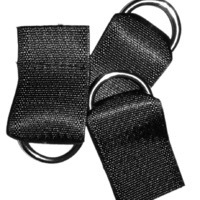 Tennessee Webbing Products manufactures millions of D-Ring assemblies each year. These are cut pieces of webbing sewn over the straight edge of the D-Ring hardware, as pictured above. We carry D-rings of various widths and from different supplier sources. As one of our top selling assemblies, we want to pass along our expertise on the differences in various D-Rings and how looks can be deceiving. For our customers, the most important aspect choosing a D-Ring is typically what the stated break strength is based on their application. To answer that, let’s first look at how hardware manufacturers weld the D-Rings. Whether making D-Rings or any other metal hardware that has a weld, the process of welding is bending the two open ends of the metal until they touch. At that time, an electric charge on the wire bonds (welds) the two ends together as seen in this video. Many people think wire size is the only determining factor of the D-Ring strength, but the weld is the integrity of the hardware. Regardless of wire size, if the welding process is poorly executed then the product will fail long before it should when the break strength is put to the test. 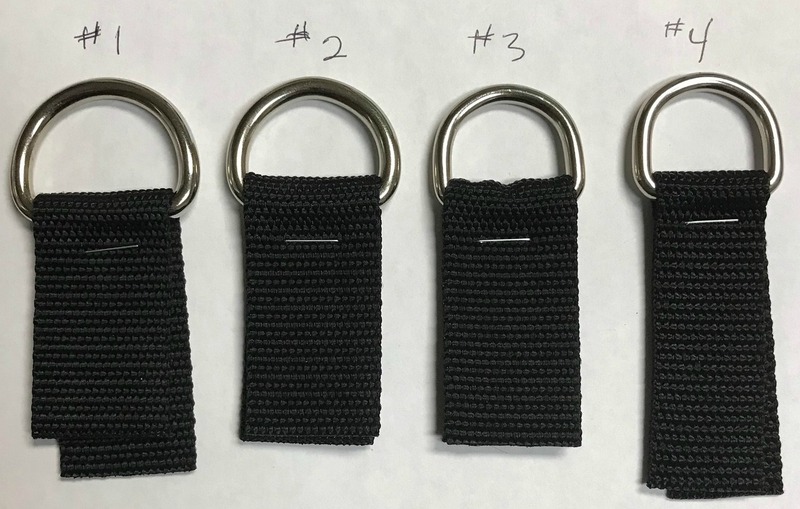 Examples of four different D-Ring styles sent to us by a customer. Sometimes people overpay for a product that is overkill for their application. All of the above D-Rings are 1-1/4″, but all look and feel very different. These are each from a different supplier. Some taller than others and with different bends at different starting points. All this can change the feel – and cost. I recently had a customer who received samples of our D-Rings. Upon receiving them, the customer’s feedback was that they weren’t as heavy duty as what they normally use. Their hardware “felt” heavier and stronger. Once I received samples of the ones they had been using, I noticed they were a slightly bigger wire size, but they were also taller and wider, which had nothing to do with their application. They felt heavier because they were. It took more wire to make this particular D-Ring style because although it was still a 1-1/4″ ring, its overall dimensions were larger. It took more wire, which made it heavier. After breaking several of this style as well as some of our styles, we were able to save the customer money on a better quality product. Our weld actually held up to a much higher break strength than the heavier weight one. 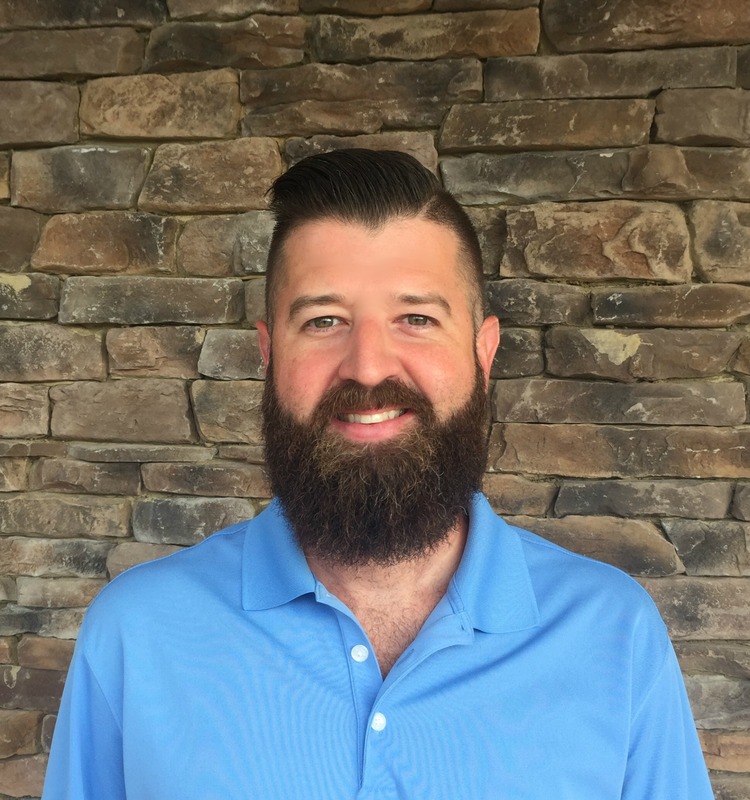 As a former buyer for an industrial tarp manufacturer for 10 years, I can speak from experience: sometimes you may not know exactly what you’re buying or why you’re buying what you are. It’s what the company has “always” used and it works, so no one ever investigates to see if there is a better, alternative product that could save money. With Tennessee Webbing’s more than 25 years’ experience in both the webbing and light manufacturing industries, we can help you determine what you need… and it could save you money! Feel free to reach out to me with any burning D-Ring questions. Email me today! Well written, and you truly address the most important aspect of a strap assembly…the weakest point of any D-Ring is the weld, and a good weld is crucial to the overall integrity of the part. I sent one of our customers to you last year that was having a failure problem with the staps they were using to tie down large crates of a heavy product…the straps you now sell them are perfect, and their failure problem disappeared! Thanks for all you folks do at TNWEB…you are the best! Thank you so much for your kind words and your comment Robert! I have passed this along to Michael.